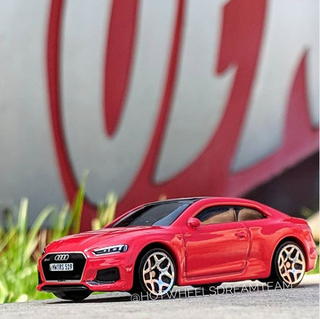 UPDATE (5:55am, 3/26/2019): The Audi RS5 is revealed, fresh off the Dream Team workshop! T-hunted just revealed the first recolor for the venerated Hot Wheels 2016 Audi RS6 Avant, so I thought it would be high time that we get to check out what’s new coming soon elsewhere. For one’s there’s still the ongoing saga of just what in the world is Hot Wheels id, because there have been cars coming out for it. We know the cars coming soon, but not the release date or mechanics. Just when are they going to make this officially known? and a new model, new Supers, as well as some snazzy recolors. Meanwhile, at the Singapore Diecast Expo, Tarmac Works reveals new 1:64 models from Ignition Model. Don’t even think about it.